Facts apps don’t have they draw they used to. The Internet has grown in such a way that finding fun facts is quick, easy, and the methods are plentiful. Still, there are those who like to pop open an app every now and then and learn a few little fun facts. We have your back. Here are the best fact apps for Android! Here are some more apps that may interest you! Curiosity is a pretty nifty little app. It boasts all kinds of fun content for people who use it. It features short form articles, infographics, and videos about a variety of topics. People can save their favorites and share them as needed. Some of the info includes facts about the universe, exercising tips, and even productivity stuff. It’s not as simple as most fact apps. It does the work. It’s free to download with no in-app purchases. It does have ads, though. Feedly is a news aggregator app. It starts out as a blank slate. You fill it up with blogs, sites, and other content that you like. This is a great way to keep up with science and technology blogs. Sometimes the best facts are those that happen tomorrow. Feedly also features cross-platform support, integration with things like Facebook, Twitter, and Evernote, and also a simple UI with simple controls. This is about the best way to keep up to date with things without downloading a bunch of official apps or relying on other services to get it right. Plus, Feedly is completely free. Google Search is a great way to find some fun facts. There are tons of sites on the Internet with fun facts. Additionally, many sites have fun little listicles about top things in various categories. It’s really not hard to find. The Google app gives you a quick little voice search along with Google Assistant to help you find the stuff you want. Google Assistant can even answer basic questions like someone’s height or simple math problems. It’s mostly recommended for quick things like unit conversions and stuff like that. It’s not one of the traditional fact apps, but it’s not half bad either. Google Arts and Cultures is a great app to gather some facts. It has information from over 1200 museums, galleries, and institutions from over 70 countries. You can find tons of information on artwork, history, and other things of cultural significance. The app helps make sense of it all by offering guided tours, fun facts every time you open the app, and more. It also has VR functionality for those who happen to have a pair of Google Cardboard. It’s entirely free with no advertising or in-app purchases. Merriam-Webster Dictionary is a good way to kill two birds with one stone. It’s a relatively decent dictionary app. The app also includes a thesaurus. It also has features for those looking for fun facts. The app features a word of the day. It also features little word games that teach you new vocabulary terms. It’s a bit closer to an educational app than it is fact apps, but you never know when a fun vocabulary term can be useful. It’s free with advertising. The $1.99 charge removes the ads. We’re halfway there! We also have some more recommendations! Quizoid is a basic, but fun quiz game. The game has a lot to offer. It has over 7000 questions to answer across three game modes. It also has a series of lifelines for those super difficult questions to narrow down the answers. You can answer questions across dozens of categories. It’ll even work offline if you need it to. Facts apps are essentially just quiz games that haven’t asked you any questions first. You’ll definitely learn some stuff playing the game. It’s not the biggest, most powerful quiz game. However, it hits all of the proper check boxes to make it a good quiz game. Reddit is an excellent place for tons of information. There are a variety of subreddits for things like jokes, fun facts, and other types of short form information. That include news, listicles, and other stuff. You can find subreddits for your favorite game, sport, or hobby and most of the people in most of those subreddits can answer questions. The official app is simple enough. You can log into your account and save your favorite subreddits for future use. There are a bunch of third party options for those who want a different experience. 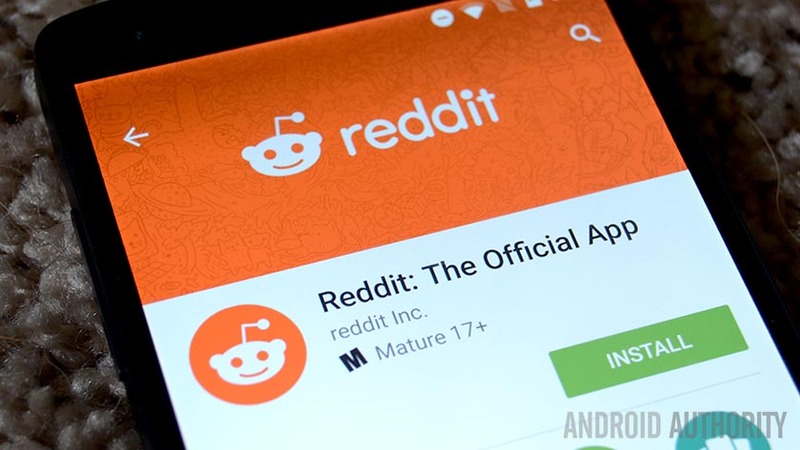 Reddit is free with an optional subscription to Reddit Gold. That removes ads and adds a few extra features. Trivia Crack is the last of the quiz apps on this list. This one is the most popular one out there. It features hundreds of thousands of questions. There is also a mechanic where you can make your own questions. Much like QuizUp, this one relies a lot on online multiplayer. There are tons of facts and other info that you can glean. It’s a lot of fun, even for a freemium game. The advertising is fairly aggressive, but you can buy the $2.99 version to get rid of them. Wikipedia is a bit of a lame selection, but it’s still a fun app. There is a wealth of information about most topics and most of it is factual. It doesn’t go too deeply into many topics, but you can find cursory information about most stuff. The app includes an Explore Feed feature that shows you new stuff. There is also a reading list feature where you can save things for offline viewing later. The app itself has a good design. It’s clean and gets out of your way while you read. Wikipedia is among the best fact apps out there, even if it’s not just simple fun facts. YouTube is among the best fact apps out there. Kind of. A lot of channels have a variety of fun fact videos, listicles, and all sorts of other stuff. Creators like Vsauce, Game Theorists, and Cinema Sins have large followings of people who like to hear about facts. Of course, our own YouTube channel isn’t a bad spot to go for tech news and facts either! You can use the service for free with ads or opt to buy YouTube Red for $9.99 per month. That will remove ads, let you play videos in the background, and more features. Thank you for reading! Here are some final ideas for you to check out! If we missed any great fact apps for Android, tell us about them in the comments! You can also click here to see our latest Android app and game lists!